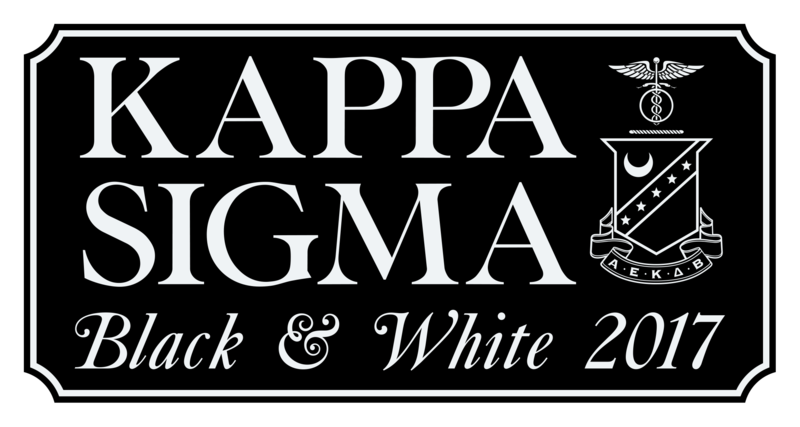 Take a look at our Black & White video from 2017. 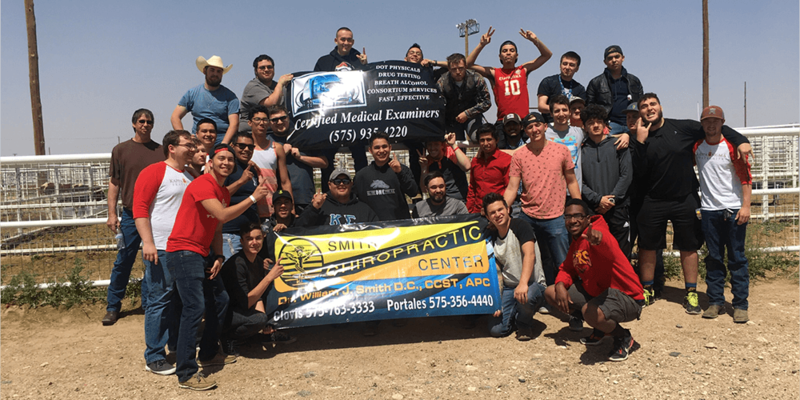 Portales, NM – After the close of the 2017 Cowdrop Fundraiser, the men of the Theta-Zeta Chapter of Kappa Sigma are proud to present two checks to ENMU. The first check is our annual $2,000 to support the ENMU Foundation1, presented to the Foundation’s Executive Director, Noelle Bartl. The second check is our ongoing commitment to fund the ENMU Stadium a total of 10,000; this check was in the amount of $2,500 and presented to Draco Miller, Director of Stadium Operations and Dr. Long, Vice President of Student Affairs. We wish to thank our sponsors and everyone who participated in making our 2017 Cowdrop fundraiser a great success, allowing us to donate to these local initiatives in addition to Kappa Sigma’s Military Heroes Campaign2. Here’s to next year’s event, where we hope that you will join us once more! 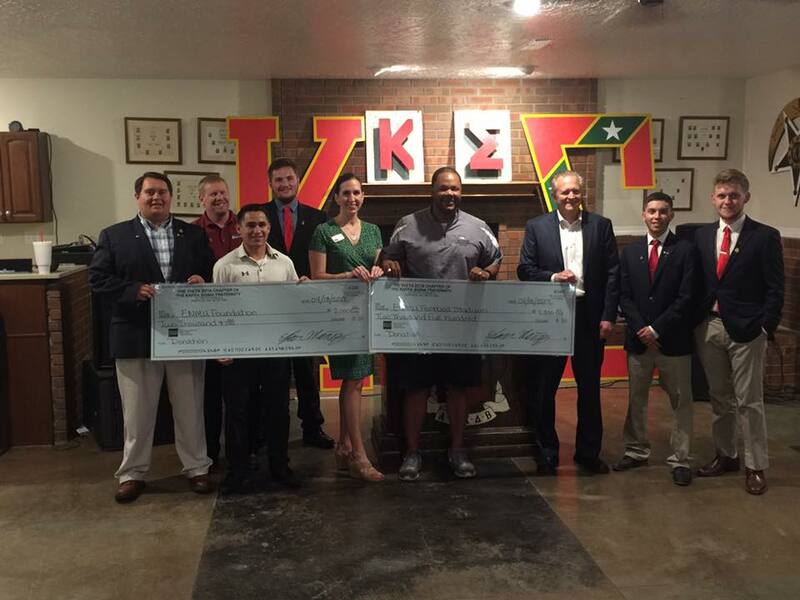 Image: Kappa Sigma’s Theta-Zeta Chapter presents two checks for ENMU Foundation and ENMU Stadium. From left to right: Zack Santos (Theta-Zeta VP), Jody Bailey (Theta-Zeta Adviser), Sergio Uvalle (Theta-Zeta Officer), Jonathan Elkins (Theta-Zeta Officer), Noelle Bartl (EMNU Foundation Director), Draco Miller (Director of Stadium Operations), Dr. Long (VP of Student Affairs), Edgar Munoz (Theta-Zeta President), and Riley Daggett (Theta-Zeta Officer). The Theta-Zeta Chapter is proud to announce the winners of our 2017 Cowdrop fundraiser! Congratulations to the winners, and thank you for participating this year!